Odoo ERP is a business management software composed of a suite of applications that can be used by all departments of a company. The advantage of Odoo ERP is that this software can be easily customized and configured to meet the specific needs of the companies that choose it. Odoo offers its users many applications. Some developed directly by Odoo and others by the Odoo community. This makes this software an "à la carte" software in which you choose the applications you want to install. Used today by millions of users worldwide, Odoo ERP is becoming a must on the ERP software market. Setting up Odoo is easy! Odoo ERP is an online software that can be hosted by the company that uses it (if it can do so) either by Odoo directly or by the Odoo integrator. Before using the software it is essential to configure it, to customize it so that it is adapted to the company and its specific needs. Once the configuration has been made, it is essential to train users. Users must adhere to the product. What are the features of Odoo ERP? All Odoo applications are intuitive, modern and easy to use. The software is quickly taken in hand. What future with Odoo ERP? 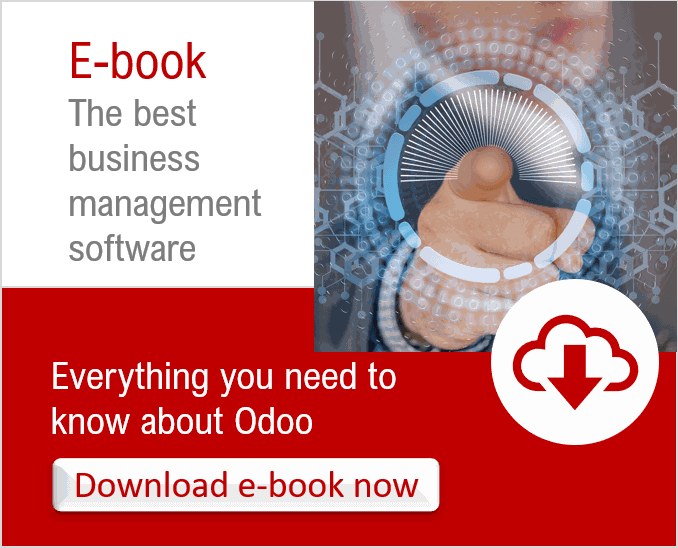 Odoo ERP is a scalable software. It will be able to evolve with the company's growth. Odoo ERP will evolve with the needs of the company. Choosing Odoo ERP software means installing a business management software that will follow the company, that will adapt to changes and modifications. Captivea is an Odoo integrator and supports companies in the success of their project. Our approach and our experienced team allow us to successfully complete each Odoo ERP project.